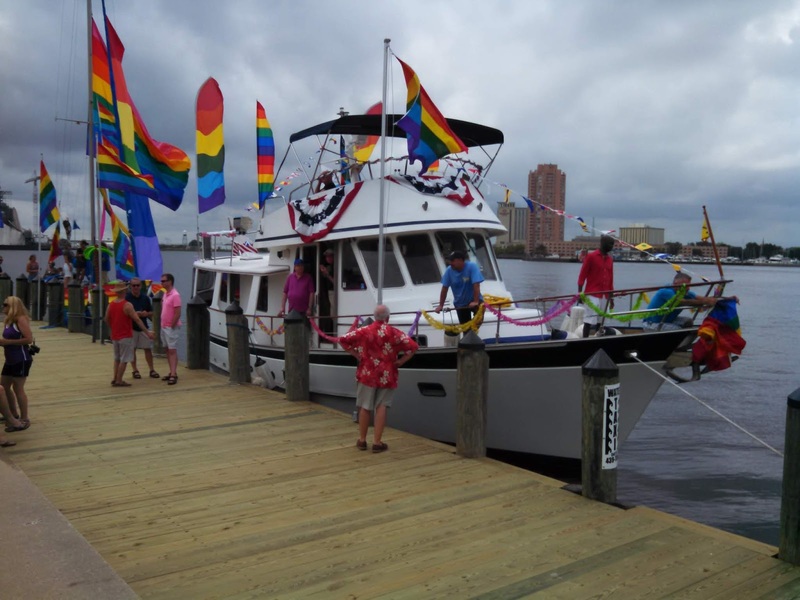 How LGBTQ friendly is Hampton Roads? Not very, according to a recent report from a national nonprofit civil rights organization. Of the seven cities that make up the region, five – Chesapeake, Hampton, Newport News, Norfolk and Virginia Beach – were included in the Human Rights Campaign's yearly municipal equality index. And all ranked below the national average. More than 500 municipalities nationwide were scored across five categories assessing how inclusive their laws, policies and services are of people who live and work there. According to the study, 78 cities received a perfect score – including Birmingham, Ala.; Tucson, Ariz.; and Los Angeles – and 25 percent scored higher than an 83. About 25 percent scored a 36 or lower, and 15 scored a zero. Cities could earn up to 30 points for their nondiscrimination laws – whether discrimination on the basis of sexual orientation and gender identity is prohibited. A total of 28 points could be earned for the municipality as an employer of people and whether they offer equivalent benefits and protections, and for diversity in their workplaces. Up to 12 points could be earned for municipal services that ensure residents are included in city-offered services and programs. Another 22 points could be earned for law enforcement, including how hate crimes were reported and the police department’s efforts toward engaging with the LGBTQ community. Cities could earn up to 8 points for their commitment to pursuing equality. On average, cities across the country scored 58 points or higher, according to the 2018 report. But across the region, scores were much lower, ranging from 29 to 50. What Hampton Roads cities lack most, according to the report, is legislation geared toward protecting residents from discrimination in the workplace, housing and public services. [T]he omission of gender identity and sexual orientation in anti-discrimination laws make residents vulnerable daily. Transgender residents are the most at-risk community, she said. And if municipalities want to protect all residents, Walls-Beegle said comprehensive LGBTQ protections and public accommodation laws are needed. As an employer of LGBTQ people, Walls-Beegle said attracting talent from out-of-state is difficult. "Trying to get people to come work in a growing LGBTQ community – they tell me no because Virginia has no legal protections," she said. Of the 11 Virginia cities included in the report, only one – Roanoke, which earned 12 points – scored lower than cities in southeastern Virginia. Charlottesville earned 75 points and Alexandria tallied 82. Arlington County boasted 92 points. The highest state scorer was the capital, Richmond, with 94 points. The city recently established a human rights commission and passed legislation that bars discrimination based on sexual orientation and gender identity, Richmond TV news station WTVR reported last month. 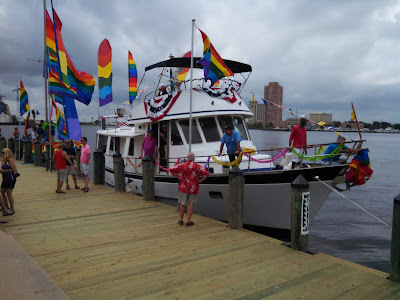 Last month, Virginia Beach City Council included an expansion of Human Rights Act in its legislative packet, which requests the General Assembly add sexual orientation and gender identity to the act's anti-discrimination language. While Virginia may be transitioning to being a "blue state," it still lags behind progressive states on many front. I find the situation particularly upsetting since my son (who is straight) refuses to move back to Virginia from Washington State since he sees Virginia as backward and bigoted. Sadly, his perception is anything but unique. I have received calls from a number of LGBT individuals who have received job offers in Virginia and who want to know the state of Virginia's non-discrimination laws. Many turn down the job offers when they learn the would be losing the non-discrimination protections they enjoy in their current home state.